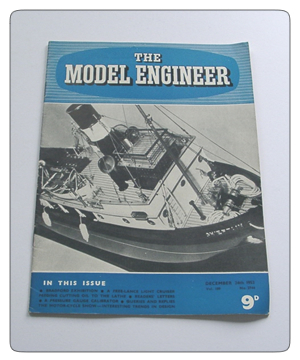 December 24th 1953 Edition of the British Magazine, Model Engineer. This vintage magazine is in almost new condition, with only slightly yellowed pages. This issue has articles on feeding cutting oil to the lathe, a pressure guage calibrator and the motorcycle show.